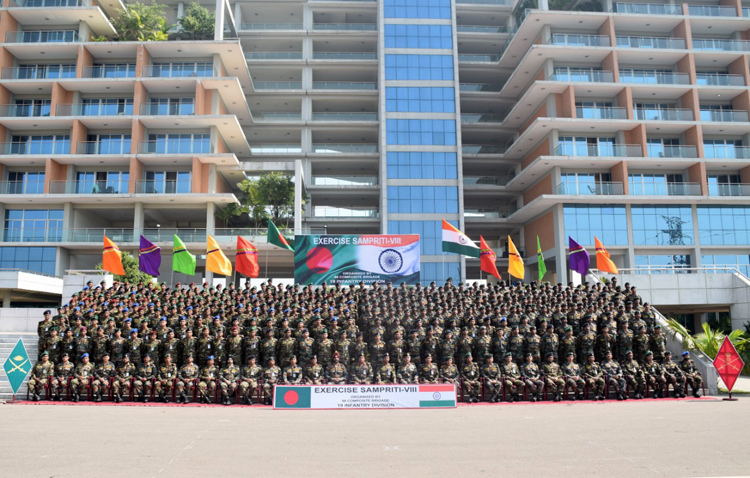 As part of the ongoing India Bangladesh defence cooperation, a joint military exercise Sampriti-2019 is being conducted at Tangail, Bangladesh from 02 March to 15 March 2019. The eighth edition of Exercise Sampriti, commenced at the Bongobondhu Cantonment, Tangail Bangladesh with an impressive opening ceremony on 03 March 2019. The participating contingents marched in and stood side by side and gave a ceremonial salute to the national flags of both the countries to the strains of "Jana Gana Mana" and the "Amar Shonar Bangla". The aim of the exercise is to increase mutual cooperation, bonhomie and camaraderie between the two armies through interoperability and joint tactical exercises. A company group from Bangladesh Army and an equal number from Indian Army are taking part in the two-week long exercise that will see them hone their tactical and technical skills in countering insurgency, counter terrorism and aid to civil authorities for disaster management in an UN peace keeping scenario involving a combined deployment at a battalion level. 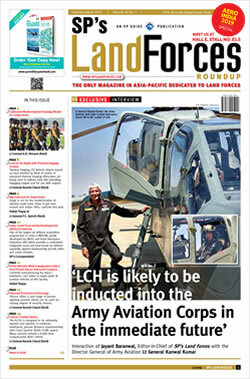 In this eighth edition of the exercise which started way back in 2009 as a platoon level exercise and graduated to company level exercise in 2015 onwards, both sides will jointly train, plan and execute a series of well developed tactical drills for neutralisation of likely threats that may be encountered during simulated UN peace keeping operations. The experts from both the sides will also hold discussions to share each other's experiences in varied topics for mutual benefits.